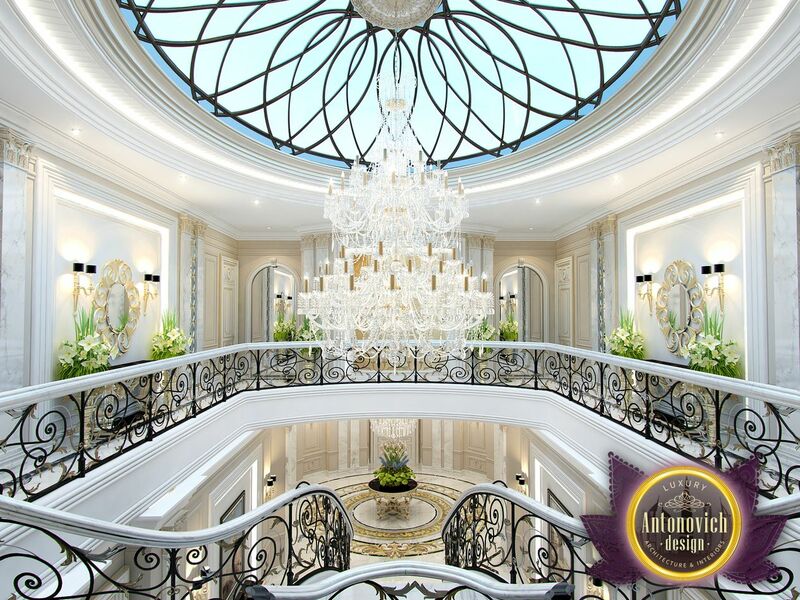 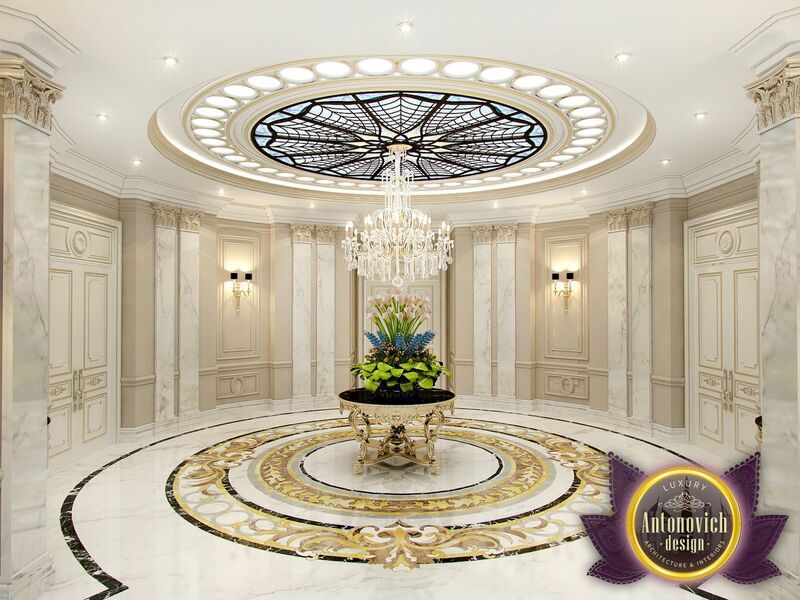 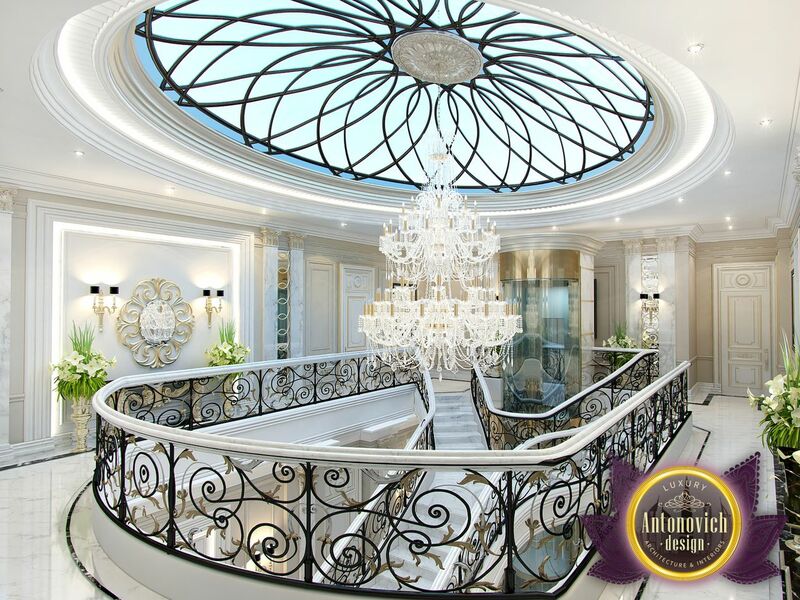 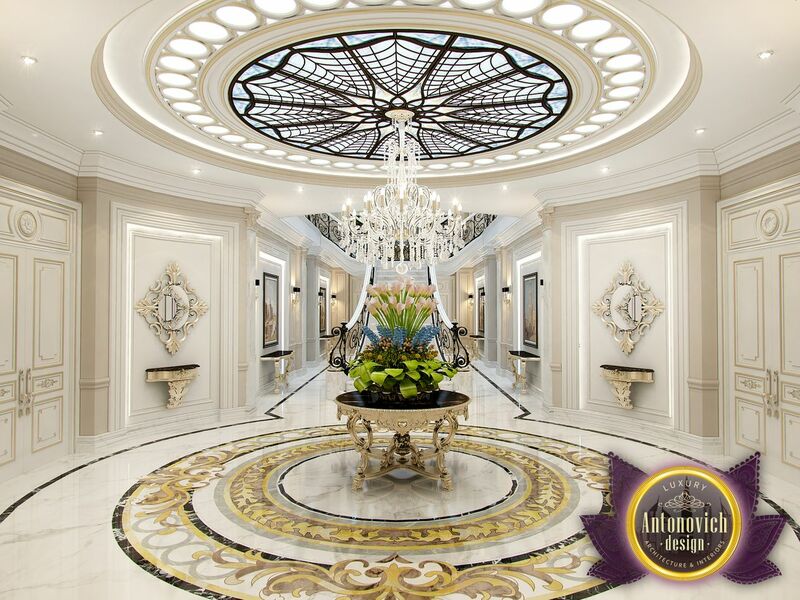 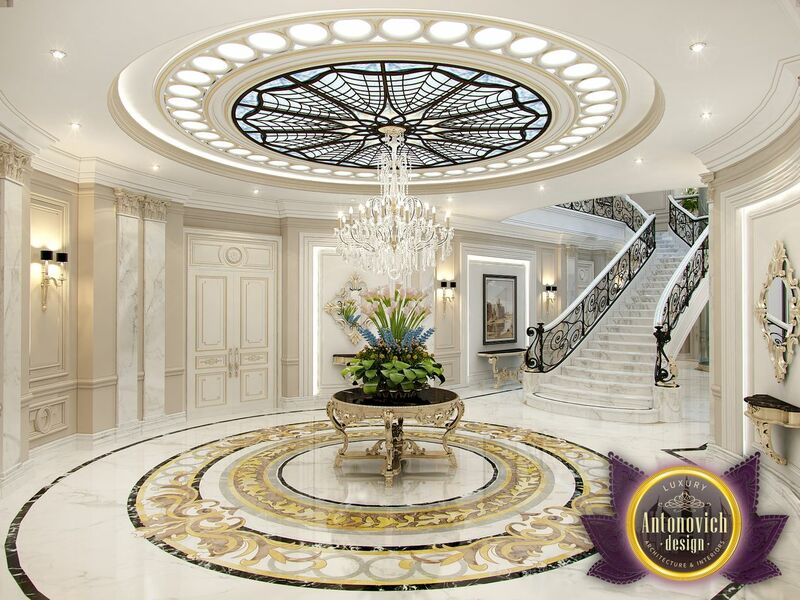 The entrance interior from Luxury Antonovich Design is the beginning of a beautiful home story. 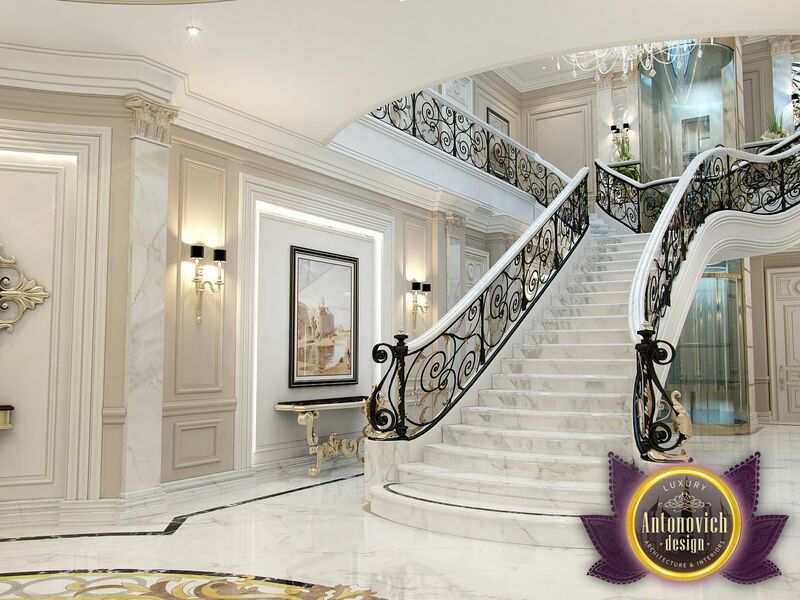 This space in the home creates the right first impression of the house. In this project, a modern classic style became the basis of the design concept. Integrity and expressive artistic image pleases the eye and attracts attention. 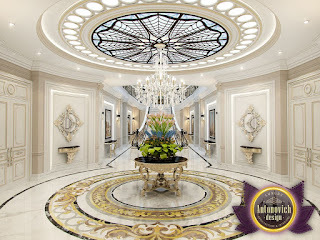 The most luxurious décor in project the stained glass and carved marble. 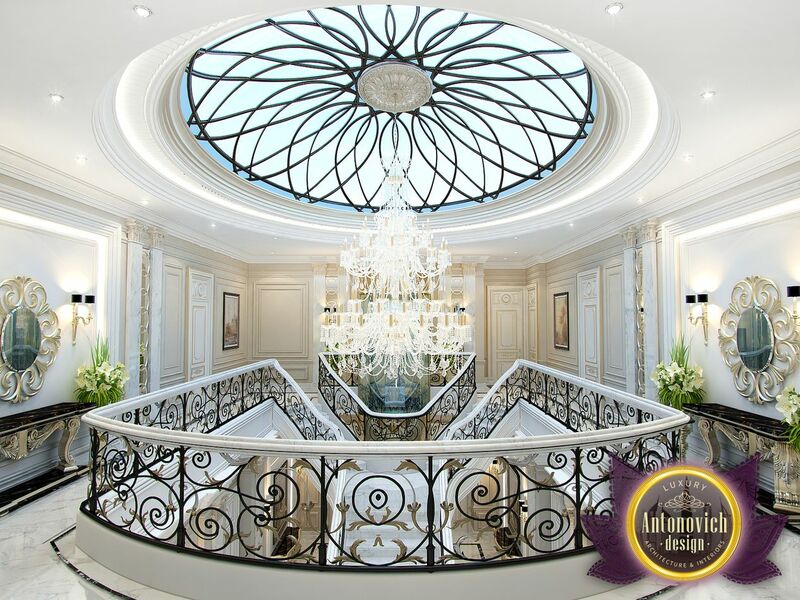 The perfect geometry of the shapes and lines characteristic of these decorative accents. The ceilings are decorated with magnificent stained glass Tiffany. 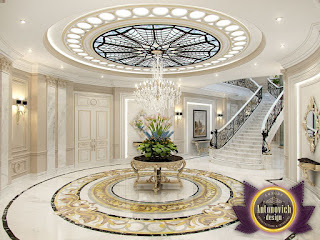 A flooring exquisite carved patterns of natural marble of different breeds. 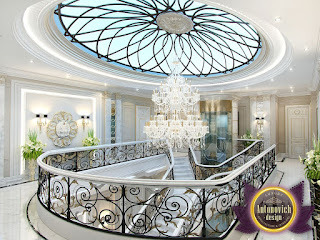 This is the splendor and charm of modern luxury and continues on the second floor of the villa. Upward leads is white marble staircase with black lace wrought-iron balustrades. 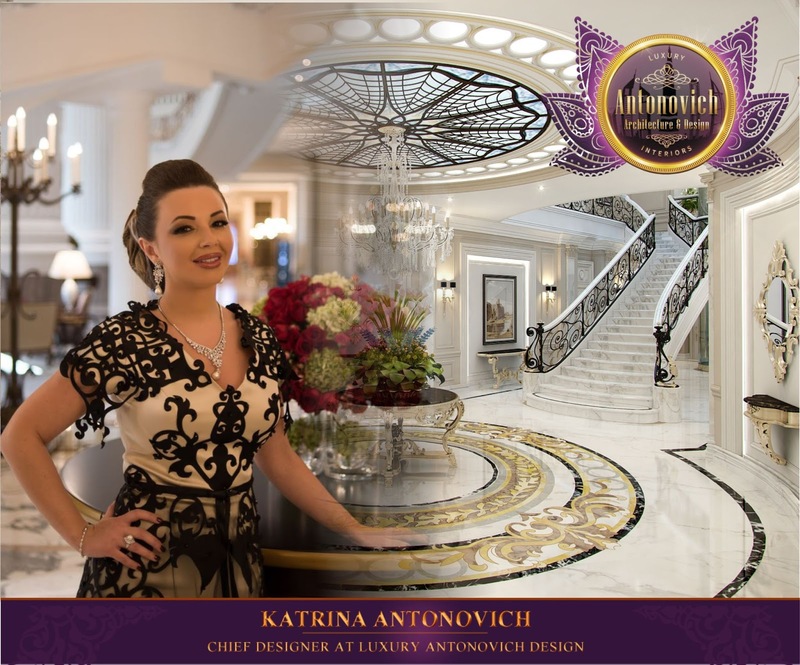 And for absolute comfort Luxury Antonovich Design interior designers offered a modern elevator.